Prepare muffin pan. Preheat oven to 325 degrees F (165 degrees C). In a large bowl, stir together the Gluten-Free Prairie Flour Blend, and pudding mix and the rest of the dry ingredients. In a separate bowl mix wet ingredients together. 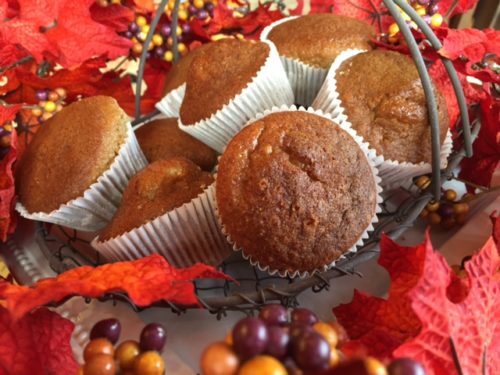 Fill muffin cups a little less than ½ full.